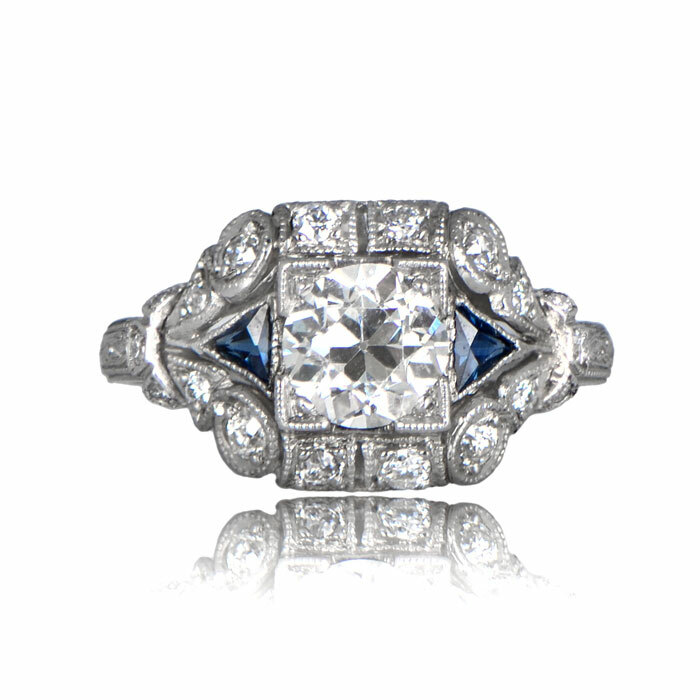 A stunning Art Deco Vintage Engagement Ring, accented with triangle-cut sapphires on either shoulder. 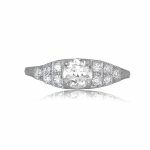 Fine scroll-motif filigree, accompanied by fourteen smaller diamonds, frame the center old European cut diamond. 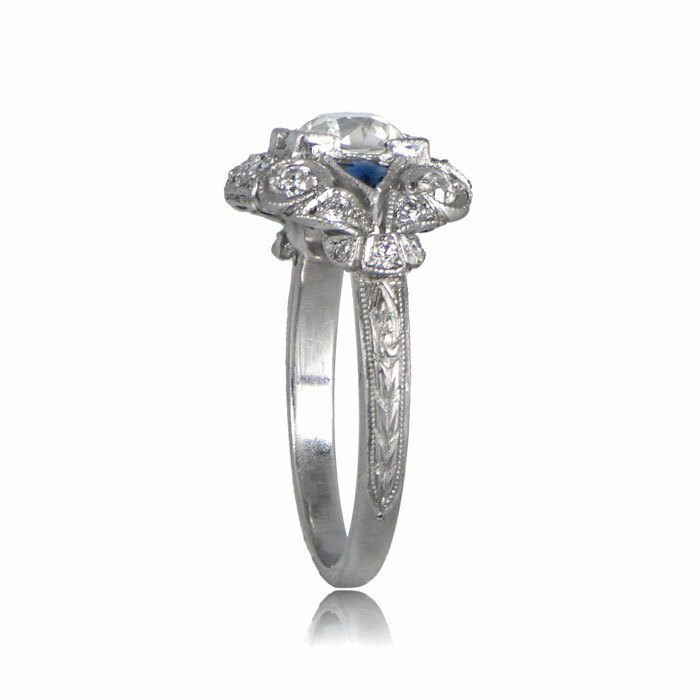 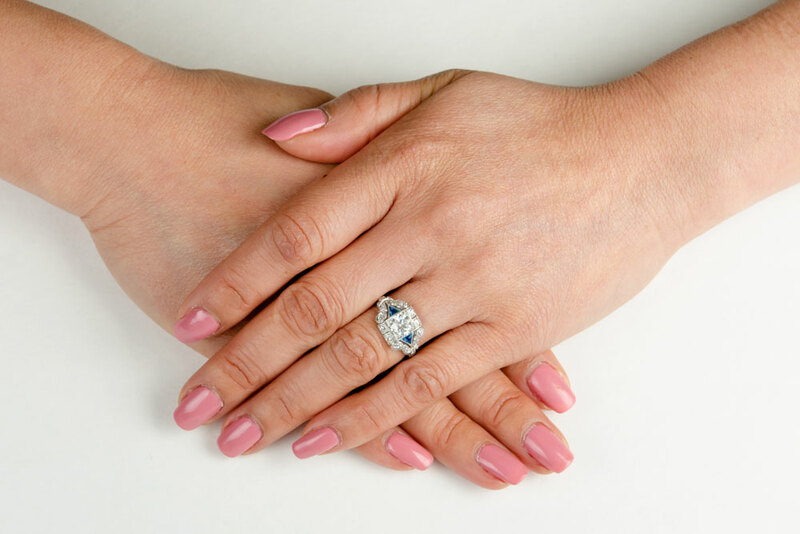 The center diamond is approximately 1.10 carat, J color and VS2 clarity. 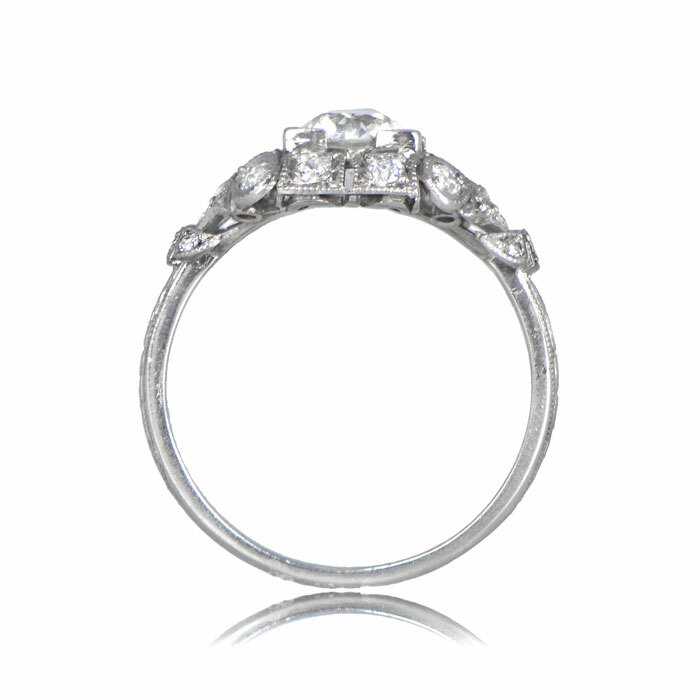 The center old mine cut diamond was cut circa 1925. 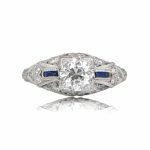 SKU: 11401B Categories: Diamond and Sapphire Engagement Rings, Old European Engagement Rings, Vintage Engagement Rings - Contact us and request additional pictures.